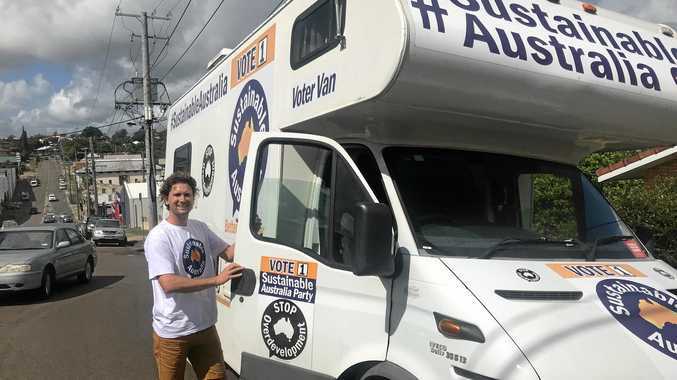 WHETHER you're a believer or not, there's no doubting there are some strange things that have gone on around Gympie. According to readers, long-term residents and supernatural investigators, Gympie has its fair share of paranormal activity all year round. A TEAM of four paranormal investigators spent a night in one of the old carriages in 2011 and they concluded hair-raising results. Using energy monitoring systems, meters, audio recorders, shadow detection devices, surveillance cameras and trigger devices, founder of the Paranormal Paratek group, Darren Davies said they definitely detected flashes of white shadows running through the old carriages. "The carriages were locked up and no one but my team and I were inside the Rattler. We could hear loud bangs from one end of the carriage then suddenly at the other end. "It was definitely a spooky place at night time," Mr Davies said. Following these encounters, more paranormal investigators turned up some fairly sold evidence. Drifter Paranormal investigators heard nothing when recording in May 2014 at the empty station, but noticed a lot of other activity. When they played back the recording there was a "clear 'normal' voice saying what sounds like 'clear the way' in an Australian accent." There were no people within 60 metres, the investigators said. "The recording has a male spoken (ie not whispered) voice saying what sounds like 'clear the way', in an Australian accent. No amplification needed," the investigator wrote when posting the video. "The voice sounds right next to me. In almost seven years of investigating allegedly haunted places, we have never captured a 'spoken' voice before." The investigators also made a second recording when they were in the Rattler dining cart. They were trying to encourage a reaction by saying they were thirsty and would someone pour them a drink. IN the 1930s, three decades after Kingston House was built, two doctors turned the residence into a private surgery and maternity hospital. It's here that it earned its reputation as a local haunt - literally - when Dr Stanley was found dead by Dr Cunningham's wife from an apparent (and suspicious) insulin overdose. Dr Cunningham soon left the house and his wife for Tasmania, while his wife was left in a state of shock. READ: Is the doctor still 'in' at Kingston House? Since then there have been numerous reports of spooky goings-on such as the piano sitting in what used to be the operating theatre is said to play itself, equipment turns itself on and off and most notably - there's the occasional visit from an apparition. Ms Jones, who runs Kingston House as a restaurant these days and has caught glimpses of a shadow flickering near the bar, said her staff treat the strange-goings on at Kingston House with good humour and says 'Dr Stanley' is a friendly ghost who is not threatening. 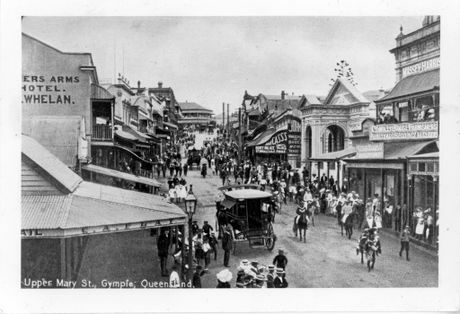 Empire Hotel, Gympie. upper Mary Street c1890's Miner's Arms Hotel, Royal Bank of Qld Photo Courtesy of Gympie Regional Library. IN July 1889, tragedy struck the then Miners Arms Hotel when the licensee's second daughter Miss Alice Rogers accidentally drank 'Rough on Rats' poison. The young woman, who was said to be an extremely good-natured girl, had returned from a wedding complaining of a headache and she was very ill later after drinking the liquid by mistake. Years later, now named The Empire Hotel, witnesses have reported seeing an apparition of a lady in a red dress on the top floor hallway leading to the guest accommodation rooms at the hotel. Despite this, paranormal investigators monitored the hotel closely in 2011 but found no paranormal activity. A BATHROOM that suddenly drops in temperature, things showing up scattered about and not where they were left and bangs in the night are just a few clues there are some paranormal people hanging around the Rusty Ute Cafe at Woolooga. The current owners Peter and Jan Williams said while they are not sure they believe in the paranormal or not - "too much weird stuff goes on" at the cafe to ignore it such as when Jan saw a dark figure out of the corner of her eye that disappeared when she turned to look. The building was built in 1902, and was a feed barn and general store in the past. The only tale of death in the immediate area is of a young girl drowning in the nearby Wide Bay Creek at the turn of the century, Peter said. But The Gympie Times could find no record of the accident. 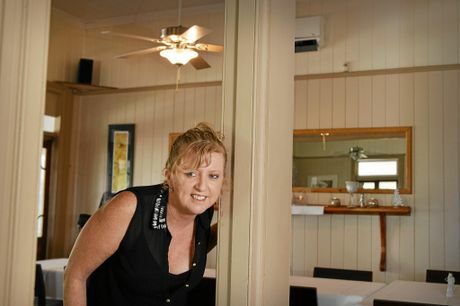 When The Gympie Times went to investigate the cafe themselves in December last year, the photographer's flash seemed to have a mind of its own; going off extremely brightly, almost blindingly for no reason. SHADOWS, eerie voices and all kinds of strange things have happened at the Railway Hotel on Station Rd according to visitors and staff. People living and working there have heard doors open by themselves or have seen silhouettes. When investigators from the Paranormal Paratek group monitored the hotel in 2011 they detected "minimal activity" there. 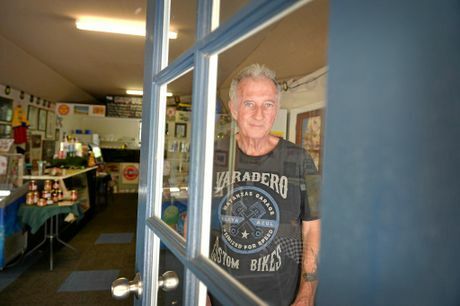 THE Gympie Nursing Centre has long been fraught with rumours of 'two small girls' playing around the area who lived in a farm house with their mother and father on the site before the nursing home was built. The girls' father has also been sighted apparently, but never the girl's mother. A SHORT and concise report was made to hauntedplaces.org about the Gympie Court House. "Painters renovating the 1901 historic building claimed to have seen a ghost that repeatedly interferes with the clock tower." THE sad tale of a jilted lover is the reason 'Gerald' the ghost will apparently not leave The Royal Hotel. As the story goes, the ghost is waiting for his love to come back after she ran off with another man. Workers regularly get the sense from strange goings-on that 'Gerald' is there. A FORMER student who attended the school when it was run by the Brothers said a lot of strange happenings stuff had gone on there. He said he once saw "a clock doing a full spin like a top before sitting back down." Rumour has it there was a death during construction of the building. GHOSTLY spirits or merely the groans and creaks of an old building? In the 94 years since it was first erected in Factory St, stories of ghostly goings-on in the building have spread far and wide. 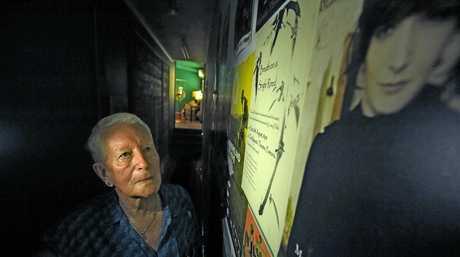 Former owner Ron West was convinced the spirit of his late wife Mandy walked the theatre's corridors while the sound of footsteps, mysterious gusts of wind and lights being turned on are not uncommon. The Majestic Theatre - reportedly the oldest authentic silent movie theatre in the world - was not the only venue in the small town that had earnt an eerie reputation. 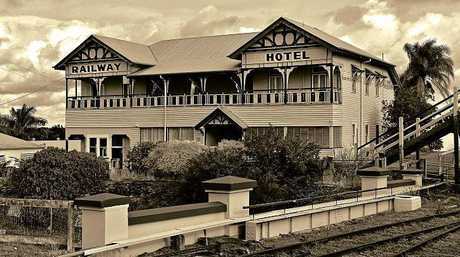 Before it was demolished, the old Railway Hotel was supposedly home to a male ghost with a tragic history. Local legend has it the ghost was Chinese banana grower George Dann, who was stabbed to death in the hotel on April 13, 1928. Italian immigrant Guiseppe Sciglitano was arrested for the racially-motivated murder and later found guilty and jailed.